I was blessed to read an advance copy of Lisa Wingate’s, The Prayer Box, which releases September 1, through a wonderful book adventure known as the Sisterhood Of The Traveling Book. Sixteen copies of The Prayer Box were sent to Sisterhoods all over the country. Sisterhoods were formed with 4 women, 1 woman acting as the Big Sister. The Big Sister received the book and instructions for overseeing the book’s travels around the circle. Each sister was told to read and comment in the margins on passages that were meaningful to them in some way. Also, the Sisters were asked to snap a few pictures to document the journey. After a Sister has read The Prayer Box, she then mails it to the next Sister in the circle. I am a proud member of Sisterhood #12. We have a very unique sisterhood and one I am so blessed to be a part of! Our sisterhood includes my mother, the Big Sister, my grandmother, a life-long friend of my mother’s, and me! Three generations reading the same book, sharing our thoughts, and leaving our impressions right there on the pages! It has been a wonderful adventure! Tomorrow, my mother and I will take our Sisterhood’s copy of The Prayer Box back to Lisa. The book, full of comments and creases, will finally come full circle. 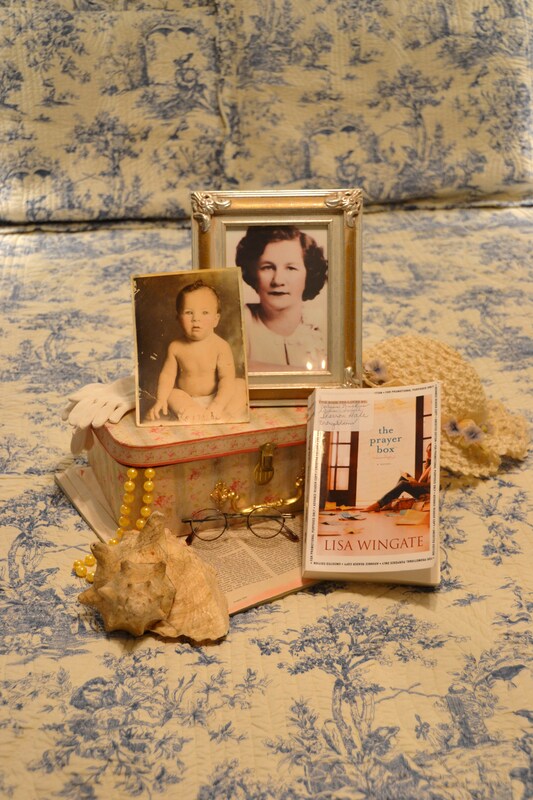 Be sure and come back Friday to read about the reunion of the book, The Prayer Box, and its author, Lisa Wingate. It’s going to be so much fun!!!! !